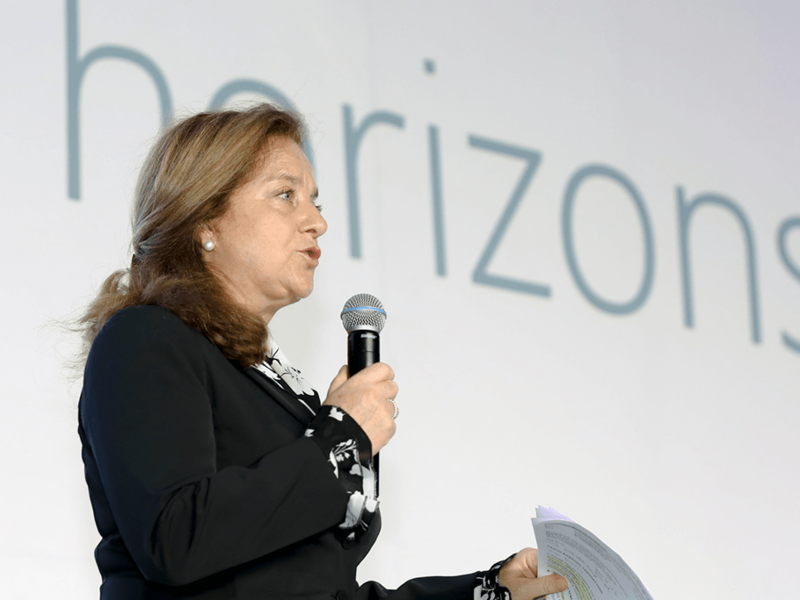 During 2018, Horizons remains highly focused on the efforts of its newly formed China Collaborative Group (CCG). The multidisciplinary legal services collective is designed to provide Chinese clients with cohesive strategic solutions that facilitate cross-border investment under the Belt and Road Initiative and other global economic trade platforms. 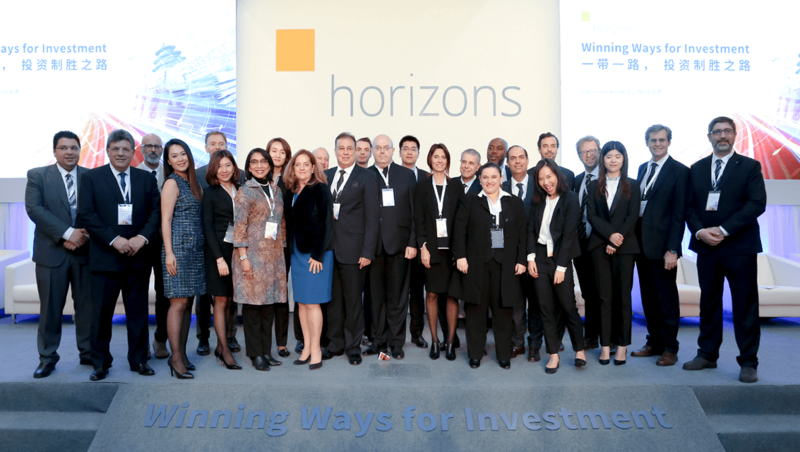 The Square talks with Roberto Gilardino, Horizons regional partner for North Asia and additional countries, about CCG’s launch seminar last December and the group’s activities going forward. The Square: Coming away from the four-city Winning Ways for Investment seminar, what has been the perception of both the event and the concept of a China Collaborative Group such as you’ve proposed? Roberto Gilardino: From the earliest planning around the China Collaborative Group to the Winning Ways seminar and on to where we are now, we’re extremely pleased with how things have and continue to progress. Of course, we’ve experienced some bumps along the way, but that’s always the situation when you introduce a new service platform. TS: Can you say something about the overall audience reception across the four cities that seminars too place? RG: We chose select cities — Shanghai, Shenzhen, Chengdu and Beijing — not only because they are the touchstones of different economic backdrops within China, but also because each has a vibrancy for innovation and a strong desire for engaging in overseas investment opportunities, both inbound and outbound. As a whole, the audiences appeared keen to learn about the CCG platform and see what our group of advisors had to say. By now, experienced Chinese investors are familiar with what big-name global advisories have to say about investment — which includes a lot of generalities that scarcely differ from one firm to the next. What’s unique about CCG is that we’ve aligned advisories from a number of different countries to serve as unified parts of a service bridge — a bridge that tailors products and services to meet the genuinely unique needs of Chinese investors, not only in their execution, but with sensitivity to Chinese language, culture and the unique coordination that is required to carry out cross-border tasks. If the dialogue between CCG advisors and seminar attendees that took place during the event session breaks — which included one-on-one meetings and group lunch — was any indication, I believe we made a strong impression on prospective investors. TS: Was there any variation in response from city to city — differences you found in Shanghai, Shenzhen, Chengdu and Beijing? Each city has its own characteristics and way of responding. Naturally, those from Shanghai and Beijing are more exposed to information than Shenzhen, Chengdu or other Chinese cities. However, I don’t see them as different per se, just as having their own characteristics and peculiarities. What was most important for us during the roadshow was that every city reacted in what we believe is the proper way, making for the event a unique platform to serve local entrepreneurs. If we look at it from this perspective, we can say that roadshow was a success. TS: From your conversations with attendees, both during the event and after, what particular topics stand out and resonate in regard to the challenges faced in cross-border investment? RG: Some of the topics our experts spoke on during the seminar are familiar to those we envision as clients. 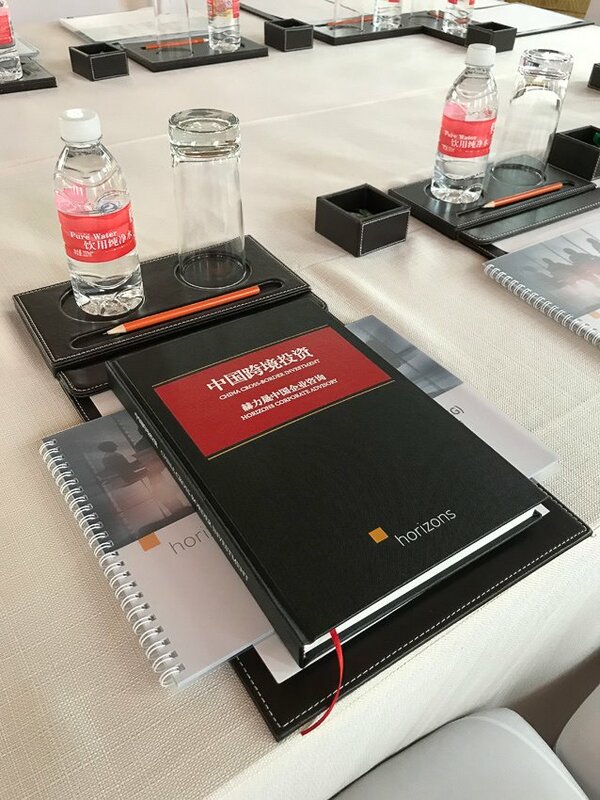 For instance, our Swiss representative Martin Hütte (HütteLAW AG, Switzerland) spoke on the do’s and don’ts of M&A, while Josep Solsona (BAa Lawyers, Spain), from Spain, outlined the ‘golden’ guidelines for negotiations. These are not uncommon topics for Chinese investors or issues they are ‘in the dark’ about. However, there are a great many cross-cultural nuances at play in outbound investment that Chinese investors are not always, for lack of a better way of putting it, ‘so sure about’ in the target country. What Martin, Josep and other CCG lawyers were able to convey to our audience of decision-makers, is that, despite some systemic differences, we are more aligned than misaligned in Chinese cross-border investment; and this gives Chinese investors’ confidence in pursuing outbound investment activities. TS: For some Chinese ‘new money’ investors, venturing into corporate advisory of any form may be completely unfamiliar territory. What would be the CCG pitch to this increasingly active group? RG: For a long time, Chinese marketing as a whole has sought to exploit people’s fears of not having something that others may have, lest they fail to capture an opportunity. This is changing as customers become more sophisticated. CCG’s marketing angle is not one of creating uncertainty or fear in prospective clients to convince them we’re the right choice to serve them, but that we stand with them as a down-to-earth team of advisors speaking their language and respecting their culture as both the starting point and throughout the duration of their project. Our objective with the roadshow and all of CCG’s activities is to instil confidence in Chinese investors — confidence that with our diverse, far-reaching group at their side, they can master the cross-border investment lifecycle no matter their target country. TS: I’m sure everyone was eager to hear about best practices, but did the Winning Ways seminar offer any ‘out-of-the-box’ insights for investors? 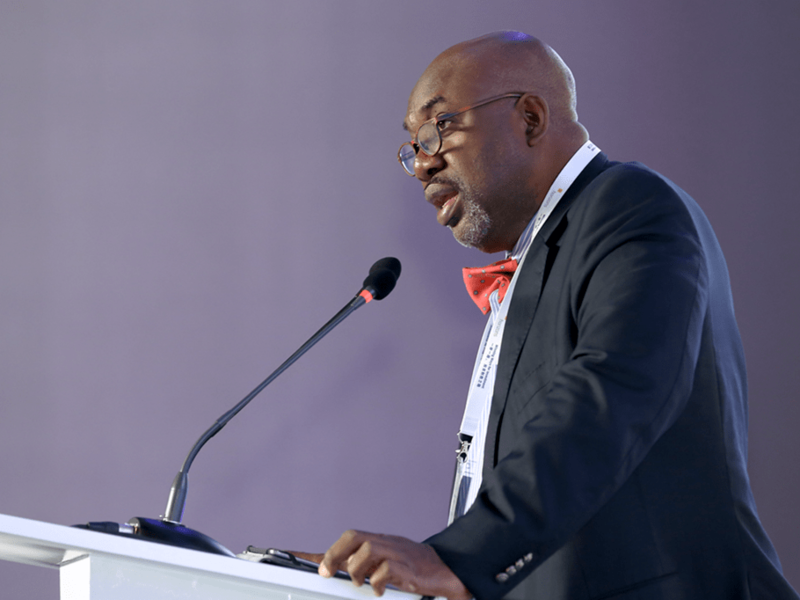 RG: Femi Sunmonu (Aliant® Qais Conrad Laureate, Nigeria), our CCG representative from Africa spoke rather passionately about the keys to investing and trading across borders. Much as China was a target investment country during its opening up period, Africa is now experiencing some of the same interest, and naturally eager to attract investment while not being taken advantage of and preyed upon. Femi truly won over the audience in each city with passionate talk of the importance of mutual respect, not only rhetorically, but in the real, every day, on-the-ground investment practices and behaviours in Africa. Of course, Africa is not a monolith; it has more than 50 independent countries, each with its own unique business culture and practices. While Femi used his home country of Nigeria to illustrate certain points, his overarching theme was one of cross-border respect and dignity engaged in outbound investment. The overarching message was about the merits and reward of taking a humanist approach to one’s overseas investment. TS: So, even though specific countries may have been addressed, the object of the seminar was to appeal to cross-border investment in a larger, ‘big-picture’ sense? RG: Yes. In cross-border investment, there are constants that apply to all countries. For example, during the seminar, our CCG representative from Italy, Gad Matalon (Lawyalty, Italy), discussed the absolute importance of corporate roles in a company—more directly, who bears responsibility for a company and, elementary enough, who needs to be in charge. When carrying out an assessment of a troubled overseas-invested company, it’s an all too common occurrence for stakeholders to appear unclear as to who is liable in the corporate structure and who’s in charge of whom? And therein lies a huge problem. “Tight” corporate governance should be at the core of every company. One of CCG’s service mandates is to ensure investors take seriously their responsibilities for good corporate governance. This includes staying clear of token, ineffectual board seats and ghost management — a killer of companies. TS: What are some of the other topic that CCG advisors spoke about as both part of the seminar and heir general talks with prospective Chinese clients? RG: All in all, the seminar presented the audience with a wide range of investment insights, including topics related to understating who the key players are in cross-border transactions (presented by Astrid Dorfmeister, Dorfmeister & Partners, Spain), avoiding disputes when doing international business (Jeffery Daar, Daar & Newman, USA) and the basic principles of contracts (Meggy Parengkuan, Moores Rowland, Indonesia). TS: Again, in considering ‘new money’ in China, investors are learning what it really means to be a shareholder in a company. Can you say something about that? RG: Though they are not involved in most decisions, shareholders do have rights, which should be clearly outlined in a corporation’s charter and bylaws. Our event included two talks related to shareholder protection. Julian Cockain-Barère (Morvilliers Sentenac & Associés, France) shared a number of insights on drafting strong shareholder agreements, while Horizons regional partner for Europe, Russia and Belarus, Lucia Myriam Netti, spoke on issues and best practices related to shareholder protection in overseas investments. TS: The roadshow event — and CCG as a whole — leans heavily in the direction of China’s Belt and Road Initiative, President Xi Jinping’s expansive plan to improve the infrastructure of land, air and maritime routes in Eurasia in order to drive trade and capital flows between east and west. Sounds like the China Collaborative Group in all-in with One Belt, One Road? RG: Belt and Road is going to connect China and more than 65 other countries along land and sea routes from Malaysia to Eastern Europe. There has already been an investment of more than 900 billion US dollars committed to building and infrastructure networks. Also, it is important to state that the initiative is open to all countries and not just limited to the countries and regions along Belt and Road. We are being presented with an incredible opportunity for global businesses to tap into new markets along Belt and Road as well as build stronger investment relationships with the Chinese mainland. This is at the core of CCG, to build bridges that help accelerate investment under Belt and Road and beyond. TS: Those attending the Winning Ways for Investment seminar were presented with a hardcover book titled China Cross-Border Investment. What’s in the book? RG: The book was a gift for those who took the time to participate in the seminar and listen to what the China Collaborative Group has to offer. It includes the writings of 17 CCG advisors from 15 countries and 8 regions whose contributions, much like the seminar talks, serve to inform and enlighten along the lines of cross-border investment. TS: Since the Winning Ways seminar, the related offices of the China Ministry of Commerce has distributed five million copies of a version of the book. That’s a lot. RG: Yes—five million. * The book is CCG’s initial calling card and a demonstration of both our expertise and commitment to the New Silk Road and smoothing the path to business connectivity and cooperation between Asia, Europe and the rest of the world. *The breakdown of the “China Cross-Border Investment” book is such that 40% have been distributed to Private Chinese Companies with at least 100,000,000 Chinese yuan yearly turnover, 30% to State-owned Companies (Government owning 100% share), 15% to State Partly Privatized Companies (Government owning 51% share up), 5% to Government Industry Associations, 5% to Government Outbound Investment related Directorates, Regional and Provincial Offices and 5% to other governmental bodies. If you would like more information about the China Collaborative Group, cross-border investment or other related corporate matters, send us an email at talktous@horizons-advisory.com, and we’ll have a Horizons professional contact you.